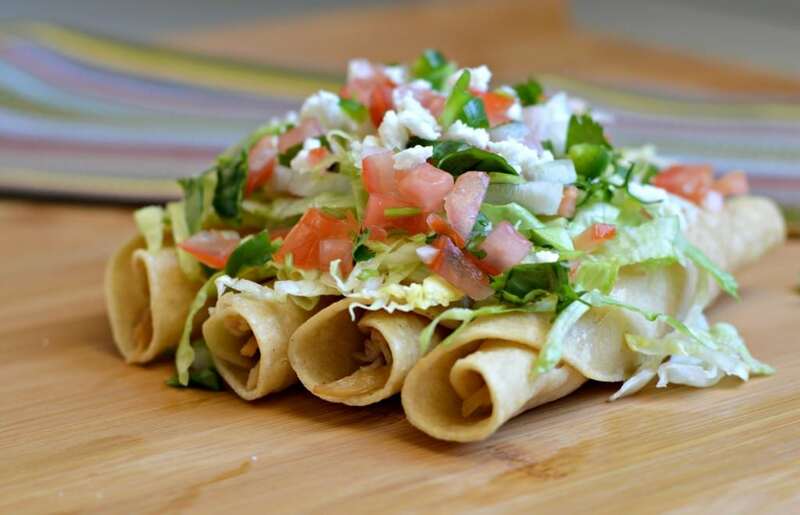 Inside: Chicken Flautas (or taquitos) are one of the most popular and easy to make of all Mexican “antojitos”. Keep reading to find out how to make this authentic Mexican recipe. Mexico is best known for “los antojitos”, which include tostadas, empanadas, huaraches, and sopes to name a few. One of the most popular of the antojitos are chicken flautas, which is the recipe that I am going to share today. 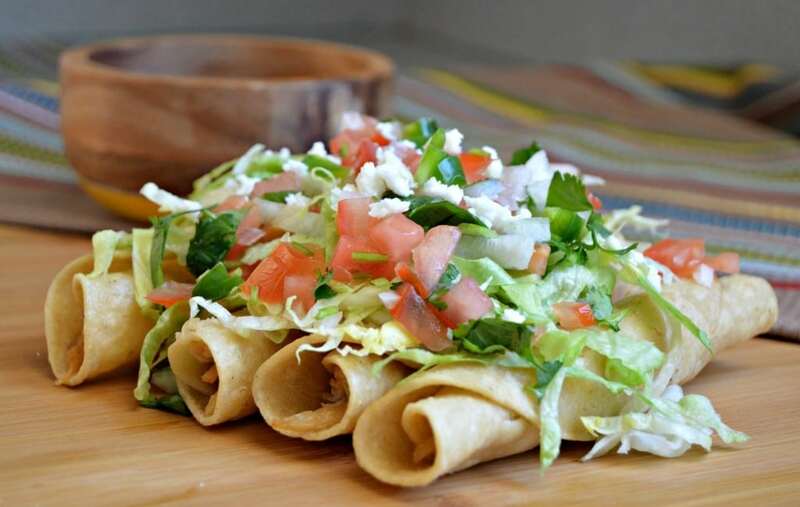 Flautas are originally from Sinaloa, which is a state in northern Mexico, not too far from the United States. That is one of the reasons that their popularity has spread to many parts of the United States. 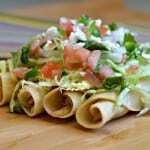 Flautas consist of a corn tortilla, filled with different ingredients such as the shredded chicken in this recipe, but it can also include beef or mashed potatoes. They are then rolled up and fried to golden-brown perfection. What Should You Put On Top Of A Flauta? Filling a tortilla and frying it may not seem too complicated, and you are right – it isn’t. However, one of the best parts about flautas is how you top them. 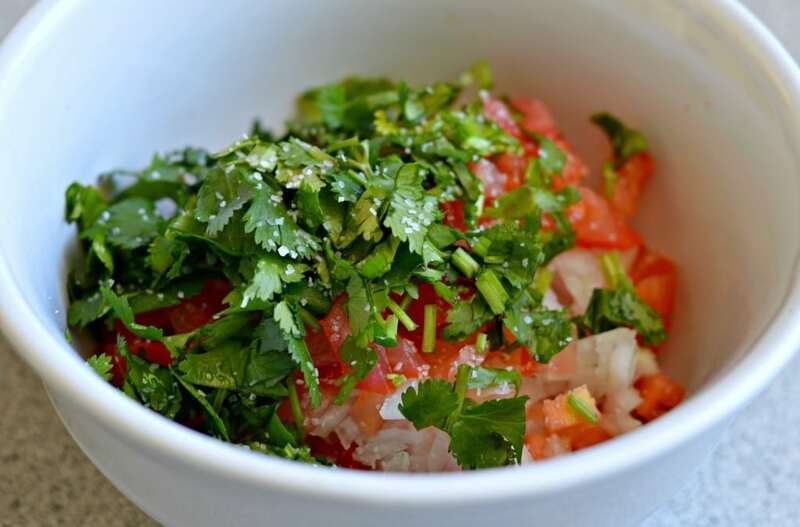 The most popular way to eat this recipe is adding fresh pico de gallo, or salsa fresca as they call it in some place. 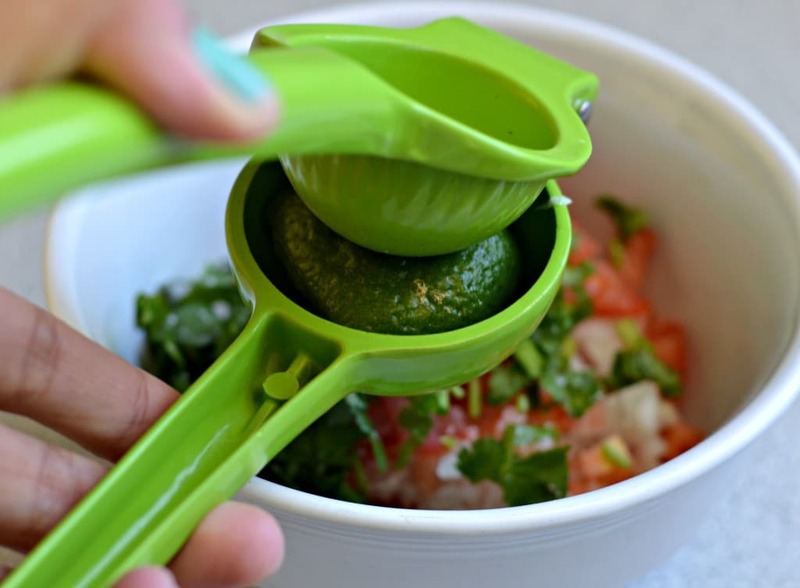 Other popular toppings include queso fresco, crema, and salsa verde. If you are extra brave, you can add some chopped jalapeños. One important thing to remember is to watch the flautas carefully when frying them. The length of time that you leave it in the oil will determine the texture that of the final product. For example, in my house, my husband likes them a little bit softer, but I love them extra crispy! Just monitor how they look throughout the process and you can’t go wrong. This recipe, without a doubt, brings back so many memories from my youth and how it was always my favorite meal to come home and eat after school. I am so proud of my Mexican roots and especially the food! 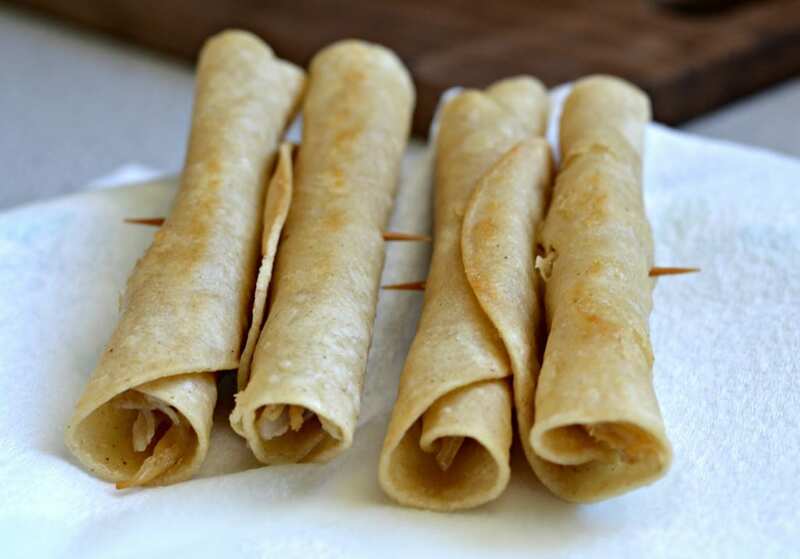 Chicken Flautas (or taquitos) are one of the most popular and easy to make of all Mexican "antojitos". Keep reading to find out how to make this authentic Mexican recipe. 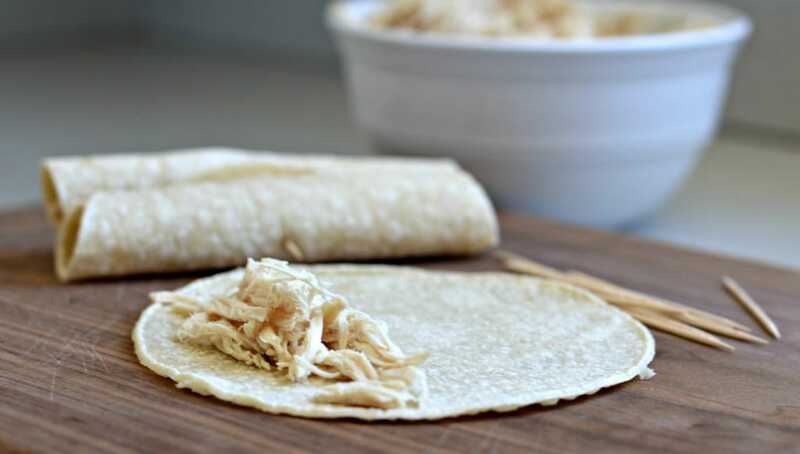 Add the chicken to the previously heated tortillas, and roll. Stick a toothpick through each flauta to prevent it from unrolling. Fry them in canola oil over medium heat, constantly turning to make sure that you get the desired level of doneness. Pat dry the excess oil with a paper towel and remove the toothpicks. Top with chopped lettuce, pico de gallo, cheese, table cream, and salsa - in that order. Hello, These look so good and healthy with the salsa. I am going to try them soon. I also like the fact this is a small recipe. I am a widow so I don’t need larger recipes now.